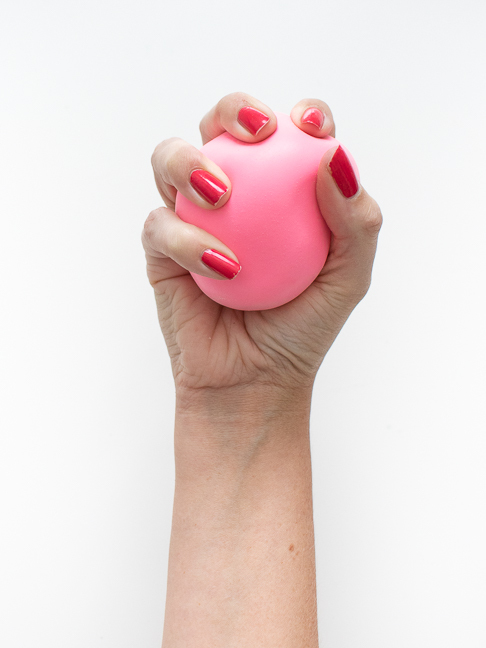 Whether you notice your kids feeling a little anxious or you simply want to try a new sensory activity, a simple stress ball could do the trick. 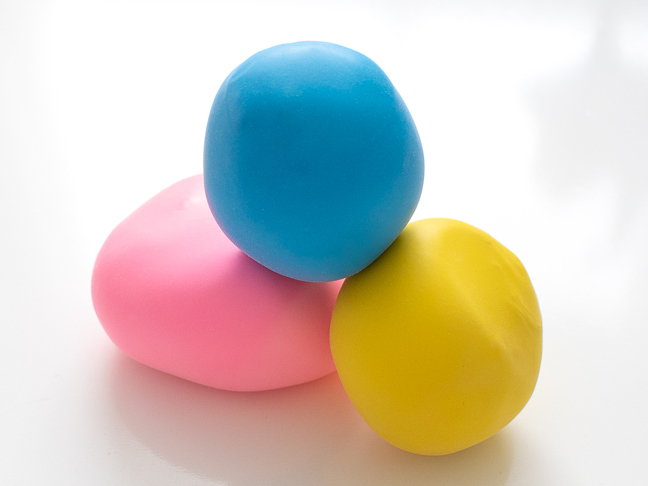 Even better though, kids can help make their own squishy stress balls using balloons! Since I always take the “why buy when you can DIY?” approach, why not make a set of squishy balls for kids to play with to relieve anxiety and even just play around with?! 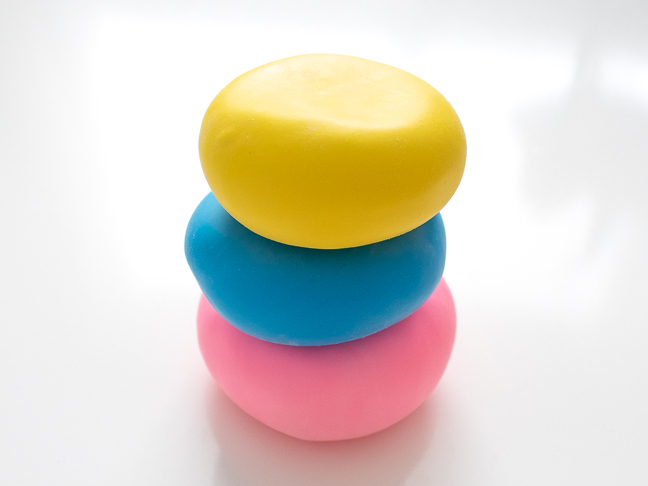 Much like a fidget spinner, a squishy ball like these flour-filled balloons keep anxious hands busy and can help reduce your child’s stress patterns. 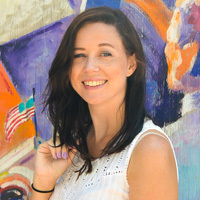 Kids with autism and other special needs are often sensory seekers, meaning they seek out sensory experiences to calm their mind and promote relaxation. Note, 12 inch balloons recommended. 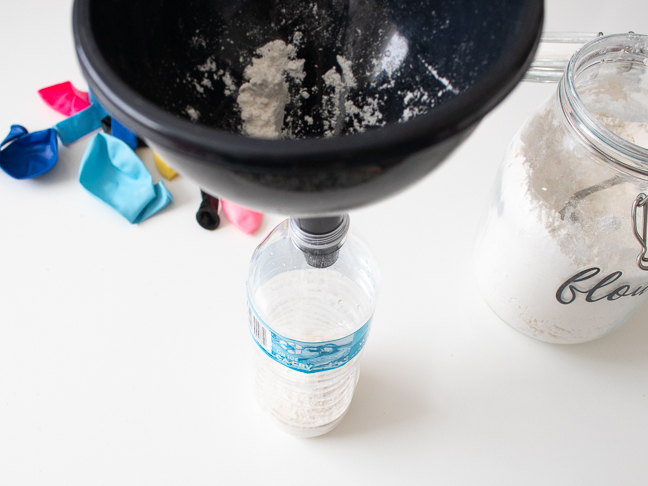 Step 1: Place the funnel in the mouth of the bottle and scoop in flour. Tap to release the flour into the bottle and fill until about 1/3 full. Set aside. 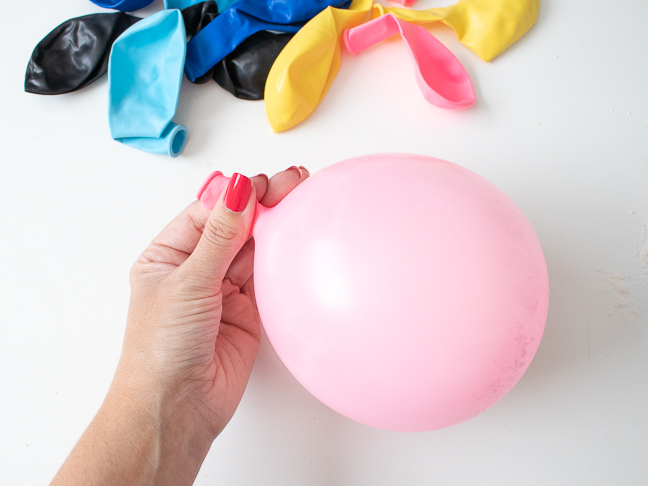 Step 2: Blow up a balloon a little and twist the end to hold in the air. 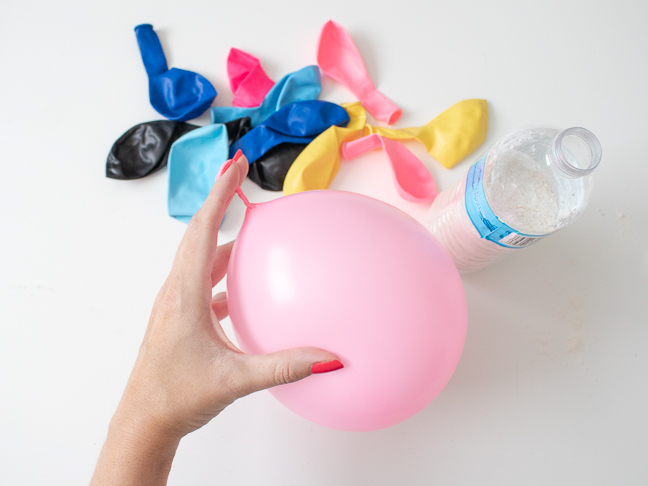 Step 3: Keeping the end twisted, carefully stretch the end of the balloon over the opening of the water bottle. Then release, and the balloon should stay blown up. 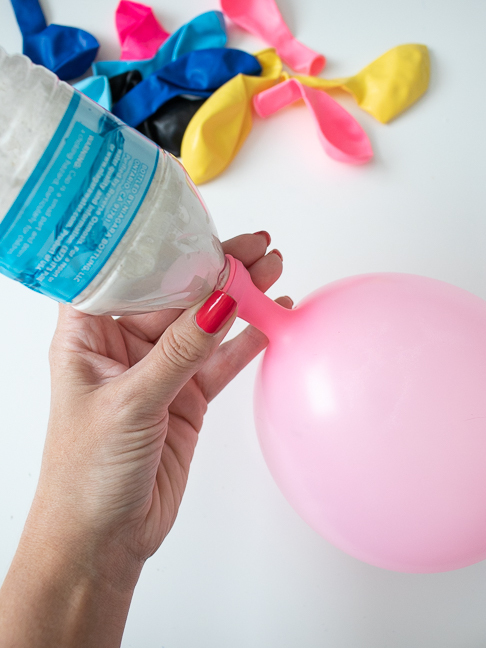 Step 4: Turn the balloon over and gently squeeze the water bottle to push the flour into the balloon. 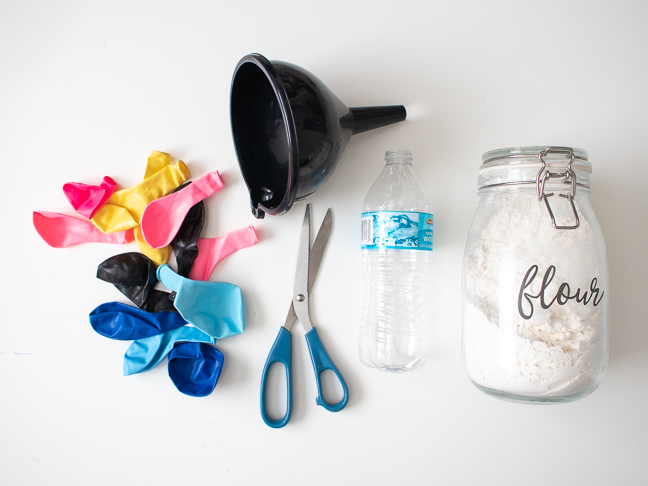 The amount of flour may vary by the size of the balloon. Step 5: Pinch the opening and remove the water bottle. Gently release a little bit of air at a time until a bit of flour starts to spit out. Massage the balloon to release remaining air and then let go. 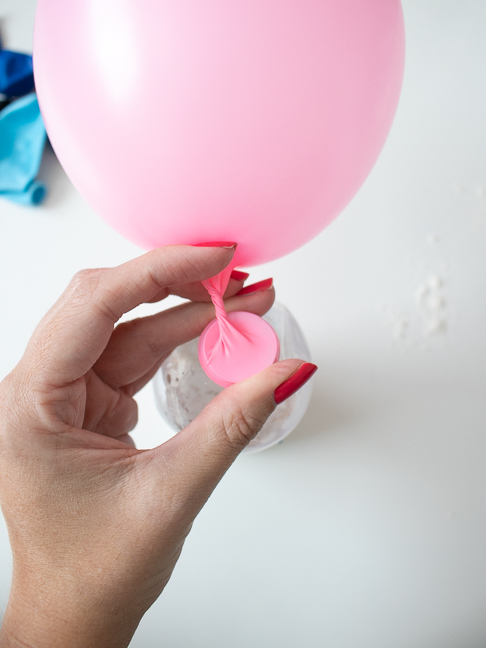 Step 6: Trim the tip of the balloon down to the flour. Step 7: Trim the tip of a second balloon. Stretch it over the opening to “seal” it. 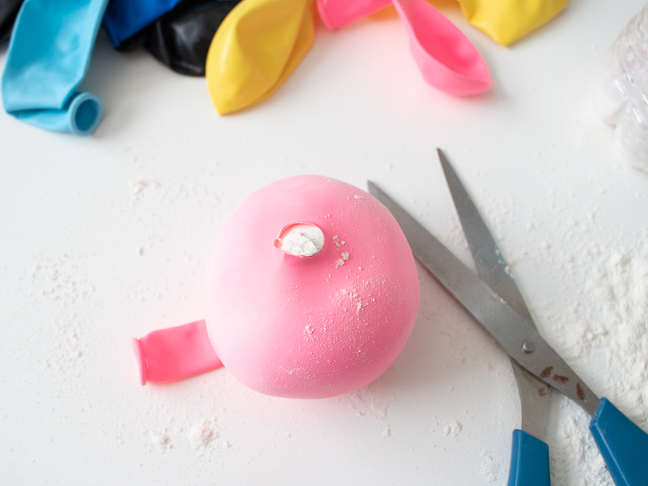 Repeat with at least two more layers of balloons to help hold the flour inside. Note, some people recommend gluing the first two balloons together where they meet for added security. 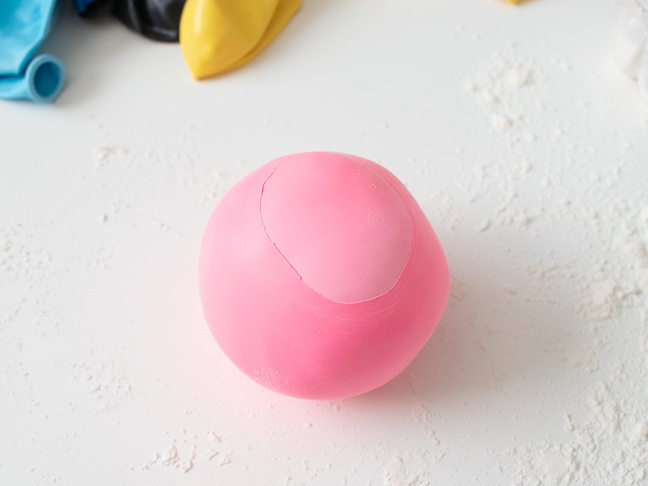 Now, the kids ( or YOU) can squish, smash, throw and play around with these squishy DIY stress balls!